Some Area Info: Newport City contains the largest population of any municipality in Orleans County, yet encompasses the smallest area with an approx. population of 5100 and an area of 7.78 sq. miles. It is the 2nd smallest of 9 cities by population, in Vermont. Chartered in 1803 however the first homes were built in 1793. Newport’s earlier names were Pickeral Point and Lake Bridge and it was once a part of the town of Salem. Newport was a busy lumber town and featured a booming railroad and two large steam boats that ferried people back and forth from Magog to Newport. In 1930, the Main Street was paved and the traffic was quite heavy due to the tourist population in the summer months. People rode the trains north from Boston and New York to enjoy Lake Memphremagog (an International Lake). There were great hotels and people came to dance the night away at the International Room which boasted the largest dance floor in New England. Famous acts like Count Basie and Louis Armstrong just to name a couple, entertained the area’s residence for years. Newport City which offers shopping, The Gateway Center at the south end of Lake Memphremagog, restaurants (Le Belvedere, Northeast Kingdom Tasting Center, Lago Trattoria, Dusit Thai Cuisine, Eastside Restaurant and Pub, The Brown Cow Restaurant and The Club Restaurant which is located at the Newport Country Club 18 hole golf club), art, State building, concerts, Newport International Airport, Goodrich Memorial Library, the brand new Newport Cinema, the Bike Path, Gardner Memorial Park, Prouty Beach & Campground. 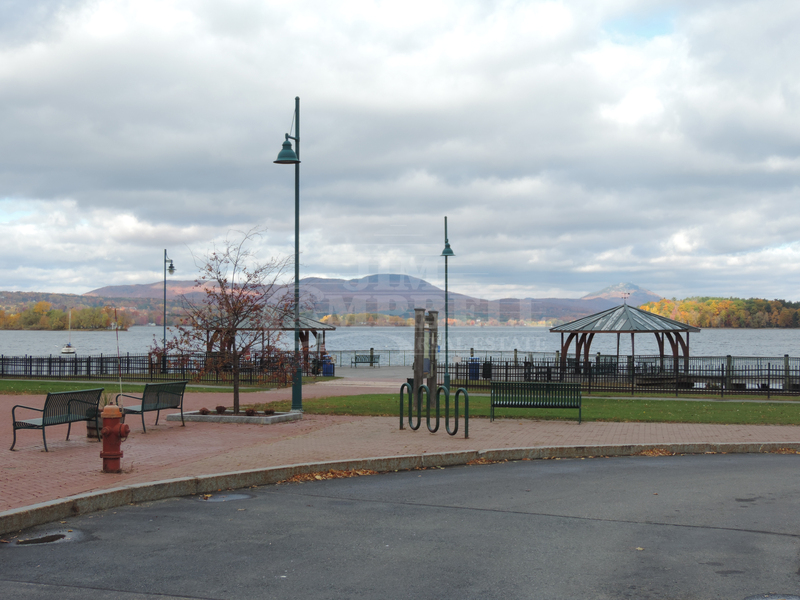 Lake Memphremagog offers fishing, boating of all types, swimming, jet skiing, wind surfing, snowmobiling and ice fishing. The city provides two full service Marinas (one at the Newport Marina and one at The Gateway Center), North Country Hospital and Health Center, the Newport City Motel and so much more. Newport City is very accessible via I-91. Attractions and Recreation: Newport host’s several events throughout the year; to include Summer fest, Chili contest, Chowder fest, Winter Carnival and the rapidly growing Jazz fest in July. Enjoy the boardwalk on the water or cruise the lake on Newport’s latest water craft “The Northern Star”. Come see what the small city on the lake has to offer! Enjoy some of the best the Northeast Kingdom has to offer: Camping, fishing, sailing, kayaking, boating, canoeing, swimming, skiing, snowmobiling, snowshoeing, biking, horseback riding, hunting, walking, shopping, golfing or just plain relaxing and enjoying the four seasons. AMAZING WATER AND MOUNTAIN VIEWS from this beautiful lakefront home. Open concept kitchen, living, and bar area take full advantage of the stunning views. Move in ready, top quality custom built home designed for entertaining and enjoying all that International Lake Memphremagog has to offer. Current owner is a professional decorator and has brought this home up to the minute in style. A blend of contemporary Craftsman and modern Farmhouse provide warmth and sophistication. High end stainless appliances, breakfast nook seats 8 comfortably and there is seating around the granite counters for 6. Radiant tile floors are efficient, beautiful and easy to keep clean. The gas fireplace adds ambiance and warmth on those chilly VT evenings. The wall of windows facing the lake include a sliding glass door to the covered stamped concrete patio for lounging and dining outside. Huge master suite featuring a walk in shower and whirl pool tub, separate sinks in his & her vanities, covered private deck and tons of storage and closet space. Heated garage. Outbuildings. Just a few steps to the sandy beach, your boat mooring or launch your canoe or kayak! Adjacent to year round, bike-walking,skiing path. Year-round 3-bedroom cottage sits on an absolutely gorgeous piece of property. The lot features over 300' of frontage on beautiful Lake Memphremagog, amazing landscaping and gardens on very level, slightly treed yard, and panoramic views of the lake, mountains, and surrounding landscape. You can move right into this home as it is being offered completely furnished. Very quiet setting is only minutes to city amenities such as fine dining and shopping. Also has access to the VAST Snowmobile Trail, and 30 minutes to Jay Peak Ski Resort. When you talk about lakefront year round cottages it just doesn't get much better than this. Gorgeous unobstructed views, lovely home/cottage with over 2200 sq. ft. of finished living space. 4 nice bedrooms, 2 baths, walk out lower level to the lake and just lots of great living space. This cottage is in beautiful condition with upgraded windows, freeze detector, new heat pump/ AC unit, newly insulated to save on energy costs and several other renovations over the past few years. Your family will enjoy the lake and it's only 25 minutes to Jay Peak Resort, 90 minutes to Montreal and 3.5 hours to Boston. THIS IS IT! You know you've been waiting for a paradise in town. Here you'll find a 4 BR, 3 Ba architecturally designed home with amazing ambiance and beauty. There's a 40x16 salt water chlorinated, heated pool with an 'island feel' entertaining/lounging cabana area. 2844 sq feet with nicely landscaped grounds with raised bed gardens, pavers, flowers and mature trees. The home features lovely 10' ceilings in the great room, an incredible kitchen with pecan cabinets, granite countertops, a pantry and upgraded applicances. There's a sunroom towards the back of the house with oversized windows looking onto huge pines and privacy. The Master Br has an en-suite bath and huge walk in closet. Upstairs features another living area with 1 or 2 BRs and a separate bath. Heated garage, paved driveway, and a huge basement rounds this property off to being the perfect place. Ideal location for anyone who wants to have Lake Memphremagog frontage, close to golf courses and shopping, and hospital access, this place is ideal, yet feels like an oasis in town. A 'Must See' home! The Best of Both Worlds! This turn of the century Newport home has undergone extensive renovations which accentuate the original beauty of the home while offering modern updates to areas such as the kitchen and baths. Careful attention was taken in this project to protect the original character and detail of items such as the hardwood floors, tin ceilings and beadboard cabinets. Modern updates include a lovely country kitchen, master suite with a gorgeous master bathroom, and the former attic is now a kids' or quest's dream! Efficiency was not forgotten with added insulation, updated windows and a top of the line propane hot water heating system. The 3-sided wraparound porch leads you to the back patio where the views over the meadow to Lake Memphremagog are gorgeous. The 15 acre lot encompasses a hay field, wild apple trees, woods, access to the VAST trail and a lovely stream. This vintage country retreat is only a mile from downtown Newport and International Lake Memphremagog. Skiers, riders, golfers, skaters and thrill seekers will appreciate that this home is only 20-25 minutes from Jay Peak Resort. This unique property must be seen to appreciate. Furnishings Negotiable. View our 3D Tour by clicking on the Virtual Tour.